When I first started this blog I honestly wasn’t sure what I wanted to say or about what. So I picked creativity and the first several posts reflect that. Then life came along and I was removed from being online until June 23rd of 2012, but I’ve been back now, for over 4 years. And my posts have illustrated what I really do want to talk about. Not just creativity and creative endeavors, but all the different reasons why we do what we do (and how I feel about this!) I care passionately about our present condition in life and our futures – All of us. As just one of more than 7 billion humans on our planet, it astonishing me that I am unique onto myself – as are you. And not so astonishing is that we are far more alike, in many more things, than we have even yet begun to realize. Perhaps I can close that gap. Bring us just a little bit closer together with some of my thoughts and insights as so many other writers, photographs, artists, musicians and other people just like you and I are currently doing on their blogs, vlogs and other social media platforms. We all have a common purpose here. To connect with one another on a global level and to share ourselves. To be creative, to explore, each other and our surroundings – the essence that makes up who we really are – both the good and the bad. Blogging has turned out to be the perfect way to accomplish this. So there you go – I am a blogger, like millions of other bloggers. I hope to encourage and inspire. Inform and enlighten but most of all connect with as many as possible. Bring us, perhaps, a little bit closer to each other. Hugs and best of luck. And keep writing! Your blog is wonderful! 🙂 Thank you so much! Love that I found your blog! Looking forward to your future (and past) posts. Feels good to be here after long! With kindest regards Penny. Hello Dilip, it’s wonderful to have you here, my friend. Welcome back! “It Is What It Is” has been nominated …. paying it forward!! Because you care!!!! It Is What It Is” … paying it forward!! Hope you accept!! Hugs, dear friend!! ❤ ….. Thank you for making me feel so very welcome. I feel as if I’ve been offered a cup of tea on a lovely cool morning. I know you are hard at work. I commend your giving your time to the typhoon efforts. You are a sister blogger. Saw your recent post. Loved it … I understand. No rush!! I wanted you to know that you are appreciated! Read the parameters I used!!! I have nominated you for the Sisterhood of the world bloggers award! Wow, you’ve got some excellent reviews on your Shy Butterfly book. The reviews sound interesting! I’ll look for it the next time I’m at the library or book store. Dear Penny …. I know you gave me some info about the two questions I asked you but, for the life of me, I can’t find your answers!! Jeez …. 2. getting the FB connection for “liking” you page. I really appreciate the time you may take!! Hello Terry, thank you very much, also sincere thanks for stopping by and commenting! You are very welcome Penny. Thank you and ditto! Big hugs! I discover you hardly and I like your written! Lovely Blog Penny ! Nice blog. Will do some looking around! I love your writing…and, like you, have many opinions about things, life, people—You are courageous to put your thoughts out there–yes, I see writers as courageous people—-and I am working on that courage for myself. Began slowly in 2011..now I am beginning to pick up the pace. Thank you for visiting my blog and for your “following”…I am now “following” you…Have a great day! Penny, your posts have been a positive element in the blogosphere, from sharing the good you do to caring for your readers enough to inspire us with your wisdom and advice. I have the honor of nominating your blog for the Very Inspiring Blogger Award! Please visit http://shainbird.wordpress.com/2013/06/01/its-contagious/. Dear Miss Penny, I have nominated you for the Super Sweet Blogger Award – please see my http://theencouragingscribe.wordpress.com/2013/05/20/sunday-morning-sunshine/ post for details. Merci pour le fait d’ajouter!!! d–0.o.–b I love your background graphic!!! My pleasure and thank you for your lovely compliment and following me also! Hello. I noticed you Liked something on my blog, so thought I’d return the compliment and come over here to have a looksee. I’m a bit puished for time but I’ll try and get back as soon as i can. Time for me? I blog and write fiction six days a week but I always have Sunday as maid’s day off. I catch up on reading mainly. I’m curious and look forward to learning more. Your blog is real nice. The pleasure is all mine Penny. Roxi raves about you too. I look forward to learning more and reading more. She’s a sweetheart and her friend is my friend indeed. Thank you for being there for her too. Hugs. Hola Penny, I just nominated you for the first ever Missy Award. I absolutely adore your style – honest in such a good, not overwhelming way 🙂 I’m happy that I stumbled upon your blog. I thouroughly enjoy your way of blogging! Now I really look forward to following you into the future. Hey! You received a ping back the other day on your About Me page! Yeah, that wasn’t spam. I just nominated 45 bloggers for the Very Inspiring Blogger Award. Why 45? Well, I made up for the last three out of six. So, you’re one of them! Congratulations! You can find the post here: http://wp.me/p2TeFs-KP ! Take care. I just followed your blog, I should have come over much sooner! Love the authenticity and humour in your writing. I’m going to look around some more. Thank you Jay, I just came from your blog, I like your writing style and what you have to say. Happy writing to you also! Hello Penny , I simply want to say that I find your blog an utter delight to read … thank you for sharing your thoughts, vision, poetry, whimsical or otherwise along with much more. I wish you much luck and happiness for 2013. Thank you Linda, very much, For you also much joy, success, fun and of course happiness this year! Hi Penny, it was curiosity brought me here so I guess I’ve come to the right place – it was seeing Rosy on a blog I’d never visited before that aroused the curiosity in this instance. Thank you Rosalie, I am indeed curious about just about everything. Thanks for the follow and stopping by, I enjoyed your comments! Hi Penny, I’ve nominated you for the Wonderful Team Member Readership Award. Pls check my latest post for more details. Thank you Padmini so very much, I will indeed dear friend! Hi Penny, I wanted to contact you with an idea that I had about blogging. Can you email me when you have a moment?? ladylovelyblogger@gmail.com. Thanks! Hey, just responding to you now! Penny – can you please email me at salmonfishingqueen@gmail.com? Thank you and hugs! this is interesting and inspiring… a beautiful useful blog. everything is well put, the ideas, the words. I will read everyday bit by bit. dont get bored of my comments. thank you my friend. Never. Never will I be bored of your words. My promise to you! Hello Penny, I have nominated you for the ‘One Lovely Blog’ award. Please check my latest post for more details. I have nominated you for the Super Sweet Blogger Award. 🙂 You can check it out here: http://notinindia2012.wordpress.com/2012/10/07/super-sweet-blogging-award-how-delicious/ Feel free to not accept if you so choose, but wanted others to find their way to your lovely blog and this is always a good way of doing this. Good! Being curious is a very good thing I think! What a lovely and thoughtful blog! Thanks to veraersilia, one of your followers, for introducing this to me. Thank you very much for visiting me and for your compliments I appreciate both very much! I just nominated you for the One Lovely Blog Award. Please pick up your award at → http://nackynice.wordpress.com/2012/09/11/one-lovely-blog-award/ Copy and Paste the Award to your blog and follow the rules of acceptance. Have a lovely day! Your blog is amazingly beautiful, intelligent, striking, creative, peerless.. etc. etc.etc. I feel privileged to have found your posts. I have nominated you for the One Lovely Blog Award – I hope you accept! Here is a link to my post for what you have to do to accept etc!! Thanks again for being such a great supporter of my blog! Hi Penny! Thank you for choosing to follow one of my blogs (http://smilekiddo.wordpress.com/) – I really appreciate it! I know Penny that it’s nothing big or new for you, but you’ve inspired me a lot and hence I’ve nominated you here. THANKS for subscribing to my “pun-ny” photoblog and for “liking” several of my Classic Daily Graffs! I hope I can bring you a smile (or at least a groan) every weekday. I applaud your focus on creativity and found several of your posts most engaging. By the way, I just want to say THANK YOU for making my day today. From the first time I found out that I inspired someone with my post and you reblogged it, I was really flattered and eager to do what I love to do more with full motivation. I can’t thank you enough for everything. You’re blog is so amazing and you’re very lovely in your own special way. I will visit again to read more of your amazing and informative posts. See you around. Your blog sounds intriguing. Thanks for signing up to follow my blog and for the like. I still need to look around, you know. I’ll be the first to admit that I’m a little slow at that- likely because of the dreaded procrastination bug, and my own mild introversion. I had to drop by anyway, to return your favor and take a look around. I like your writing style, and I must say I approve of curiosity. I suppose I’m curious myself, after a fashion. No, that’s not true. I must be curious- what is a lust for knowledge but curiosity pushed towards its limit? I love learning new things and meeting new people, and I’m, as I’ve said before I’m sure, always happy to see another friendly face around my site. So thank you for dropping by and, as we’re all going somewhere, I hope your journey is pleasant and just bumpy enough to remain interesting. Safe travels, knowledge-seeker. Thank you for the visit, good luck to you also in your travels. May your journey be as fulfilling as mine has been todate. Which isn’t too shabby by anyones standards (lifes unfortunate events not withstanding). Be well and take care of you! Thanks for the follow Penny! I wonder what is the why all the time, both with respect to myself and others. Look forward to reading more of you! 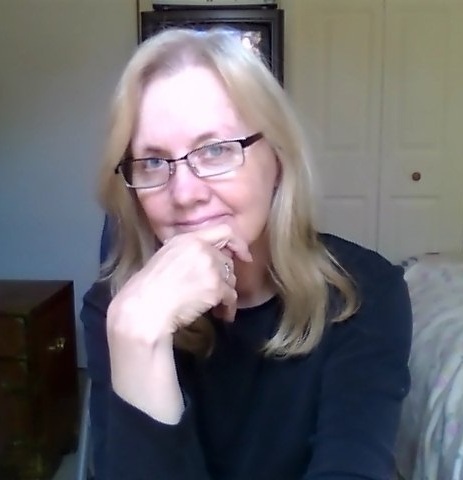 Thanks for stopping by my blog and for following me! I also appreciated the very generous comments! Do check mine when you find time and let me know of what you think (http://tisflashpoint.wordpress.com/). Cheers!!! Congratulations! You haven’t won a golden ticket to a chocolate factory, but you have won a nomination for the Very Inspiring Blogger Award. Details on my latest post. Keep up the top posts. Hullo there. I enjoyed your blog more than I could shake a stick at, so have nominated you for The Very Inspiring Blogger Award. If you haven’t a clue what i’m blathering on about, check out my latest post to see what it’s all about. What a wonderful subject. Creativity and curiosity are life to me. I’ll follow along, definitely. And thank you for stopping by and liking my post. Thank you for the follow Jennifer. We can mutually enjoy each others blog postings, what fun! Thanks for the nominationTina, I appreciate you very much. You recently followed my blog, so I thought I’d stop by and say hello and thank you. Thank you, I am most appreciative. I nominated you for The Very Inspiring Blogger Award because your posts touch my heart and are so full of love. Thank you very much Stepanie for your very kind words and the nomination. I appreciate them both, and you, so very much! Penny, the appreciation is mutual. 🙂 I am looking forward to catch up with reading your recent posts, soon! Well, I said I would be back to read more but ….. I forgot? Loved that, love most of your stuff. But especially touched by your comments on the Elephant’s blog – too, too kind. Thank you for that, and this time AnElephant never forgets. Have said goodbye to the circus, now following you. I am honored to nominate you for The Sisterhood of the World Award! Please pick-up your award at http://nackynice.wordpress.com/ . Copy and Paste the Award to your blog and follow the rules of acceptance. I wish you many blessings. Congratulations!! Thank you Kina, I appreciate your nomination very much! You’re welcome. I’m still working on it. It should publish during the day of 07/22/12. The question is . . . will you have me? Yes, no doubt about it, I’ve been checking out your blog site too and I like what I’m seeing and reading. Welcome! Thank you so very kindly Somesh, for your lovely words. I appreciate them very much. Bless you. Good Luck Somesh, I hope your job interview is very good. Thank you for always visiting and commenting on my blog and liking my posts. Could you also look at my other blog and tell me what you think? The link is in the first comment. I will be happy to do so Tina. I appreciate your visits & comments. I will be following you too & look forward to your posts! Saw you on ReconstructingChristina and just dropped in for a quick look-see. Have just scratched the surface but some fascinating stuff. Looks like you have had some rough times, even by life’s sometimes bizarre and totally unfair standards. Glad to see you overcome them. I will come back to read more. Beautiful blog, Penny. Thank you for visiting. I will also enjoy following your page! Hi Paula, thanks for following me. Hope to hear from you when you have the time. Your posts and your writing style are absolutely wonderful. Not only are your topics things we can all relate to, but many have beautiful lessons for living and learning woven in. Please keep on writing and posting. You truly make a difference. Thank you Rick, you have no idea how special your words are to me. Again, thank you!